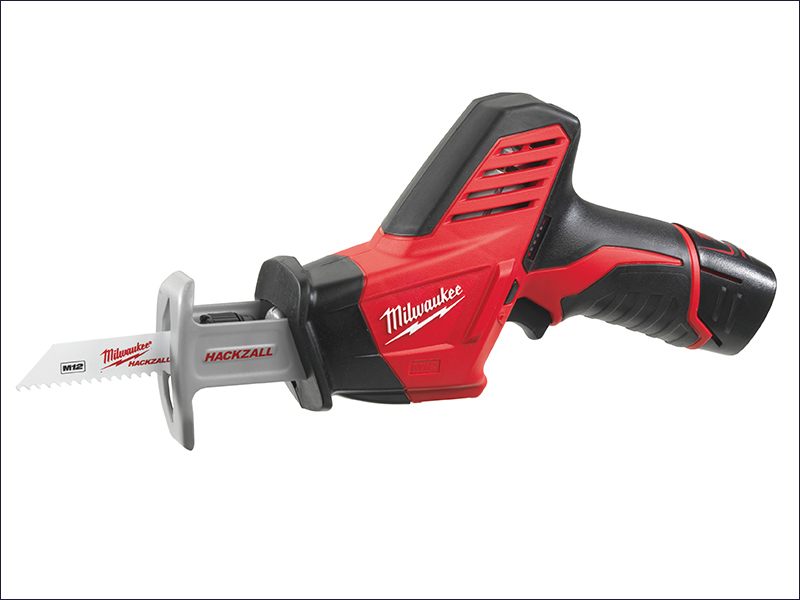 The Milwaukee C12 HZ Compact Cordless Hackzall® is a high performance hack saw, measuring just 280 mm in length, making it ideal for working within confined spaces. The variable speed trigger allows for a controlled cut throught a wide range of materials. It features a Milwaukee patented FIXTEC clamp for fast and easy keyless blade change, and has a built-in LED light to illuminate the work surface. The REDLINK™ overload protection electronics in both the tool and battery back to deliver excellent durability with a fuel gauge displays the remaining battery charge state. No Load Stroke Rate: 0-3,000/min. Supplied with 2 x 12 volt 2.0Ah Li-Ion batteries, charger and kitbox. Click Here to open a printable page.